(Austin, Texas - May 13, 2010) - The Texas Veterinary Medical Diagnostic Laboratories (TVMDL) recently announced that they received approval from USDA’s Veterinary Services to test for Equine Piroplasmosis (Piro) for interstate and intrastate movement. Equine Piro is considered foreign to the United States and is caused by the protozoa Babesia (Theileria) equi and Babesia caballi. The disease, which affects horses, but not people, has recently been detected in Texas and several other states. As a result of this detection, numerous states are now requiring horses to be Piro tested prior to entry, hence the need for increased lab capability. Prior to this announcement, the only location approved to perform Piro testing was the National Veterinary Services Laboratories (NVSL) in Ames, IA. Practitioners now have the opportunity to submit samples for testing to TVMDL’s Amarillo and College Station locations. Both labs will be equipped to receive samples starting June 1, 2010. Costs for the tests are $15/each for in state and $17/each for out of state. Test "run days" will be Mondays, Wednesdays, and Fridays. Turnaround for results is approximately two days. Specimens must be in the lab and in the serology testing section by 11 am on Monday, Wednesday, or Friday for testing to be set up on those days. The required specimen is 1cc of clear serum for each test. Due to the complexity of regulatory import requirements for states in the U.S. and with international export, by default TVMDL will run both tests when a Piro test request is received. If the request is to run only B. equi or B. caballi, that must clearly be defined on the submission form. TVMDL can test specimens for Piro ONLY for intrastate and interstate purposes. Testing for international export or for diagnostic cases with possible clinical symptoms must be sent to NVSL. For more information about testing visit the TVMDL website at http://tvmdl.tamu.edu/. Texas Animal Health Commission officials continue to investigate the possible origins of the disease, which can be spread by certain species of ticks or unsafe animal husbandry practices. There are currently no new entry requirements in regard to Piro for horses entering Texas, however, horse owners are encouraged to check with the state of destination prior to transporting horses out of state. 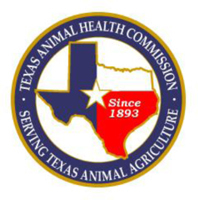 For information and updates concerning Equine Piroplasmosis in Texas or interstate movement of horses, visit the Texas Animal Health Commission’s (TAHC) web site at: http://www.tahc.state.tx.us/.